House of Fun is a 30 line BetSoft slot paying up to $22500 per spin. This horror-themed casino game offers several amazing surprises like free spin rounds, instant wins and a scatter second-screen bonus. House of Fun has supurb graphics. The rules of House of Fun are very simple and straightforward. You should be able to figure it out right away. You can play it at Vegas Crest [read review] and win real money! 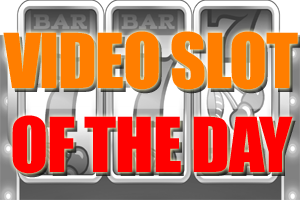 Video Slot of the Day: Tropical Trea..
Video Slot of the Day: Eastern Promi..
Video Slot of the Day: Buckin' Bronc..
Video Slot of the Day: Legends of Ol..
Video Slot of the Day: The Last Phar..
Video Slot of the Day: It Came From ..